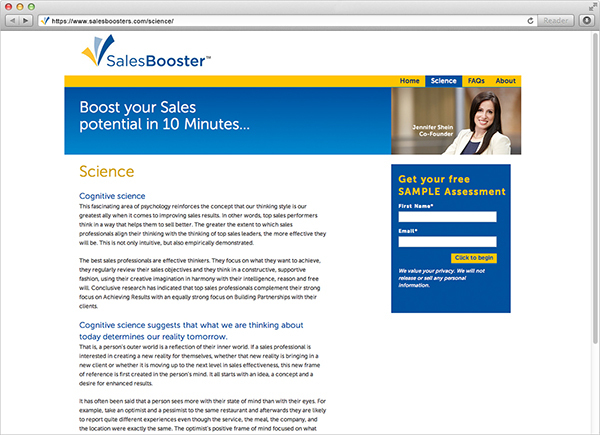 The SalesBooster tool is designed to help salespeople boost sales performance by providing insight into their mindset, and then providing practical advice that can be used immediately to improve results. Unfortunately, the tool was hidden within a corporate site, and wasn’t able to gain the exposure necessary for its success. 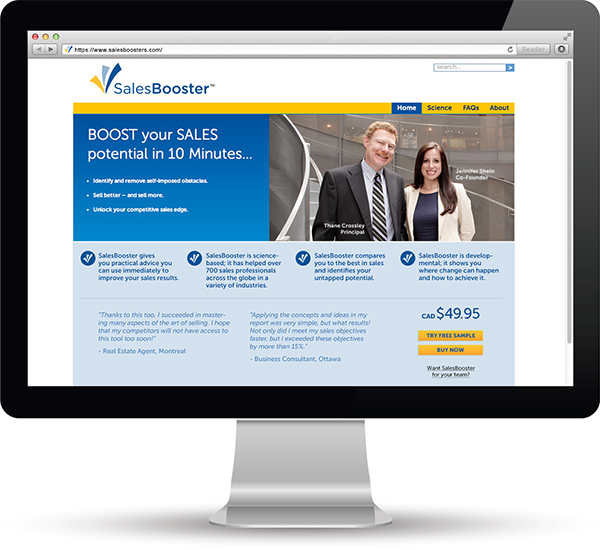 We developed an SEO-driven, sales-focused site designed to convert browsers into buyers. 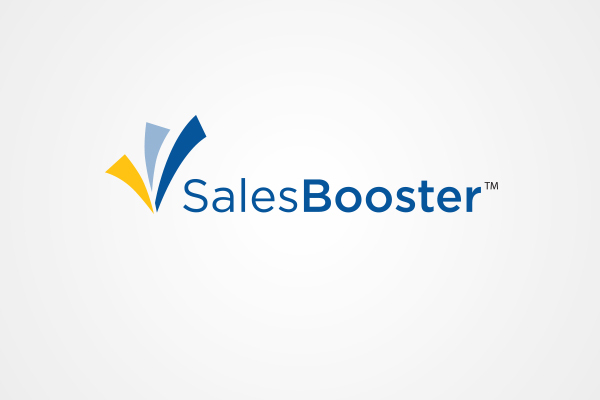 In addition, we created a new logo and branding, developed a “Try now” functionality, and implemented an underlying CRM system to capture leads, manage the process, and process transactions. Next up: increasing the number of visitors to the site. 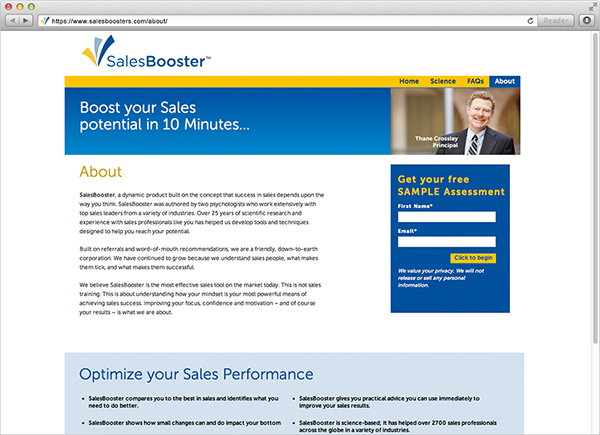 The site now processes SalesBooster transactions.